The latest edition of our renowned Certified Office Ergonomics Assessor Course runs June 11-12. Newly revamped, this two-day course is designed to train an organization’s personnel to conduct basic, in-house office ergonomic assessments. Participants learn what musculoskeletal injuries are, how to identify them, and how to prevent them. Graduates will be well equipped to immediately implement what they’ve learned into their corporation’s health and safety initiatives. This includes understanding how to manage concerns and risk factors, properly select and adjust furniture, and recognize when a professional ergonomic assessment is needed. Additionally, Dr. Miller will show participants how to make use of EWI Works’ free apps and resources, ensuring their knowledge and abilities stay up-to-date well into the future. 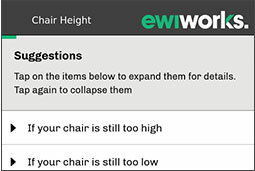 Taught by experienced ergonomist and EWI Works CEO Dr. Linda Miller, this course is filling up rapidly with only a few seats left. To register click “Buy Now” below. Lunches and light snacks are included. 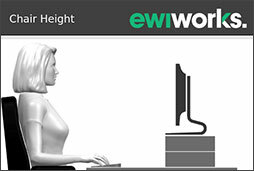 For more information, contact EWI Works at info@ewiworks.com.